Boy George is humbled to still have such a passionate fanbase. 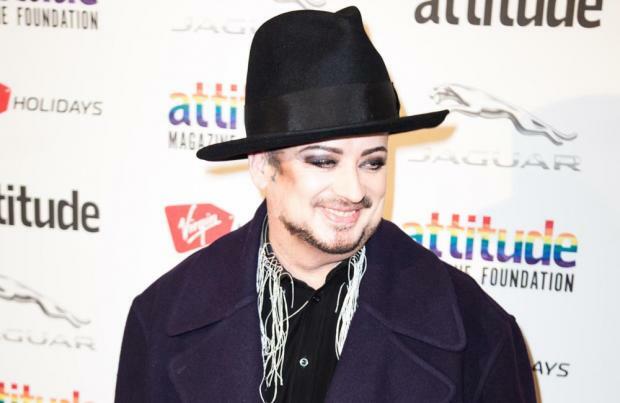 The Culture Club singer just released 'Life' – his sixth album with the band – on Friday (26.10.18) and the 57-year-old star has opened up about the way his perspective has changed as he's got older. Speaking to Chris Evans on BBC Radio 2's 'Breakfast Show', he said: "I would never describe myself as a grumpy person but I suppose as you get older hopefully you get more perspective and you get to know yourself, I think you get to go back to who you really are. "You go back to that person. And also you realise how lucky you are to do what you do. 'People are still listening?' You go out to all these massive crowds and you think – wow, after all this time..."
Boy George admitted while his fanbase has changed over the years when it comes to live crowd, his audience is still predominantly women – and he joked he doesn't know why he deserves such adoration. He added: "When you go on stage you go out and see people who have now got kids... You see more husbands now. "My algorithms say that I am 70% more popular with women of a certain age so that's never changed. Now I can look on the internet and see who likes me – still women. What did I ever do to deserve their love?" After a recent US tour, the 'Karma Chameleon' star is delighted to be performing live at a point in his career where the audience already knows who the band are, even if they don't know what they're going to get from the live show. He said: "It was a beautiful experience, yeah, because at this point of the game we are walking out to massive affection. So nobody is there with hostility – everyone knows us. They're not sure what to expect which is great. "These days, I'm much more chatty on stage. Years ago, in my early career – if I was in a bad mood everyone got it. I considered it part of my artistic integrity to make everyone feel as bad as I did ... I'm never in a bad mood these days, anyway."